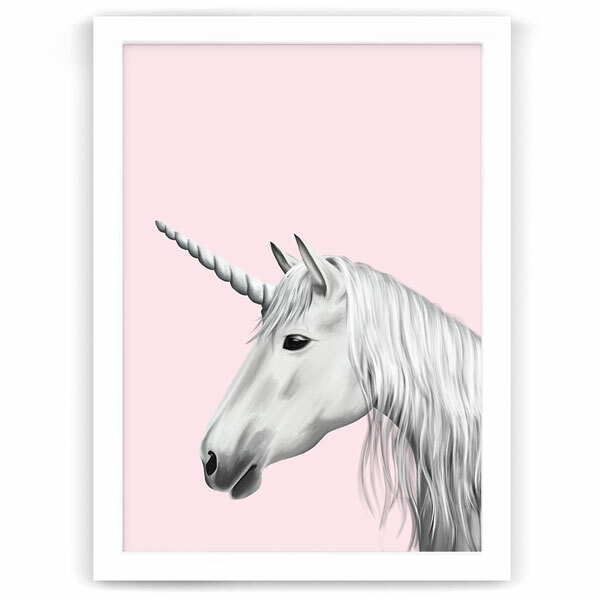 Digitally painted Fantasy Unicorn print with a pink background. 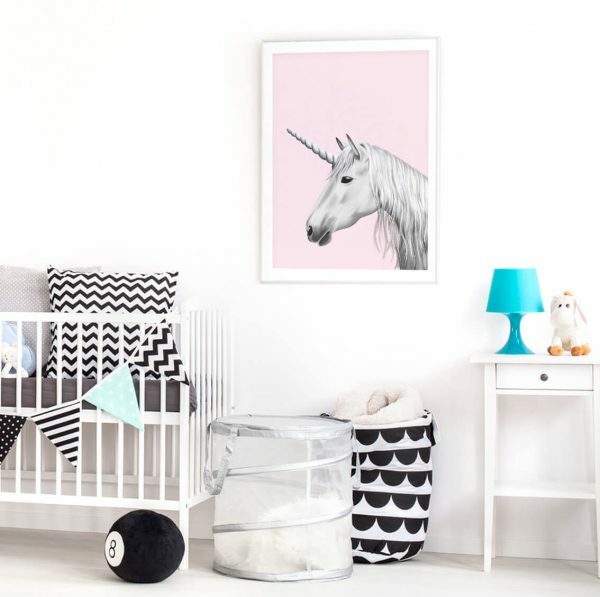 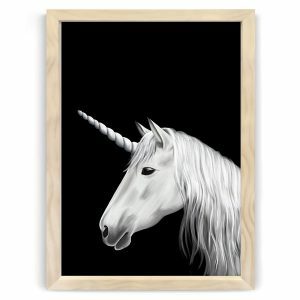 The perfect modern print for the kids or adults who love unicorns! 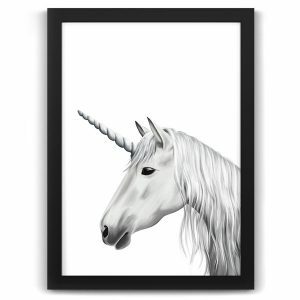 This print is ideal for any room including the nursery, a child's room or as a special gift. Other background colours are available in this design – mint, white and black. 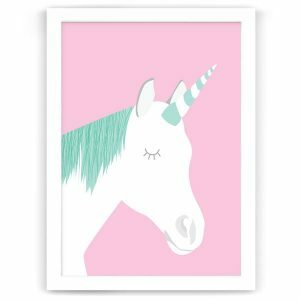 This print is ideal for any room including the nursery, a child’s room or as a special gift.